Magical beasts come in all shapes and sizes, and pretty much all are just that much better when constructed in bricks. 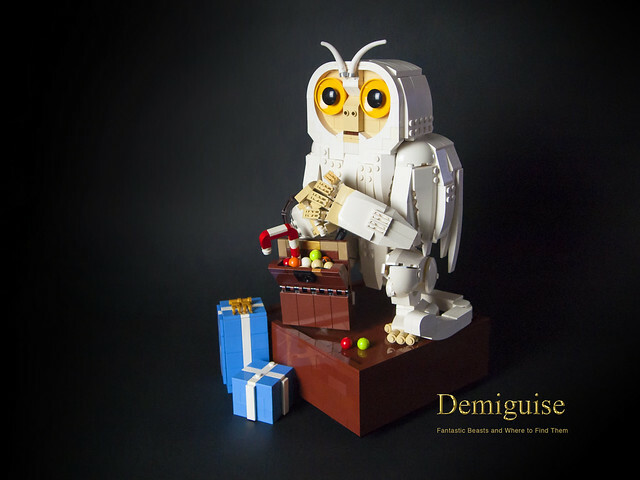 The peaceful demiguise, brilliantly realized here by builder chris office, has the ability to make itself invisible, as demonstrated in the second image below. I'm guessing most of us wouldn't mind this ability at least a couple times a week.